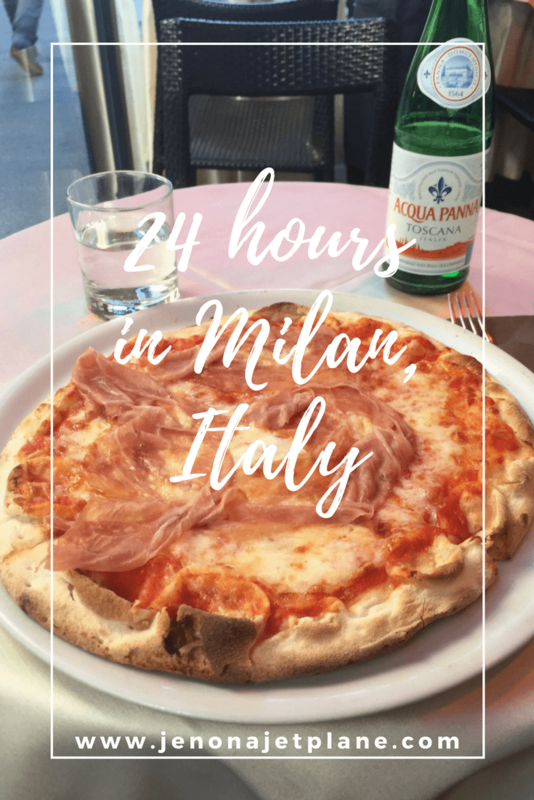 Do you only have 24 hours in Milan, Italy? That is just enough time to hit the highlights, provided you plan ahead and avoid the crowds. You can spend 24 hours in Mialn just by shopping. Those with a fondness for brand names will find no shortage of merchandise here. Milan is a really fancy city. From poodles in tutus to diamond adorned storefronts, the destination practically drips glamour. If you only have 24 hours to spend in Milan, or a long 12 hour+ layover, you should make the most of it and get to know the city. Here’s how! The Duomo is the heart of the city and where you’ll begin and end your day. 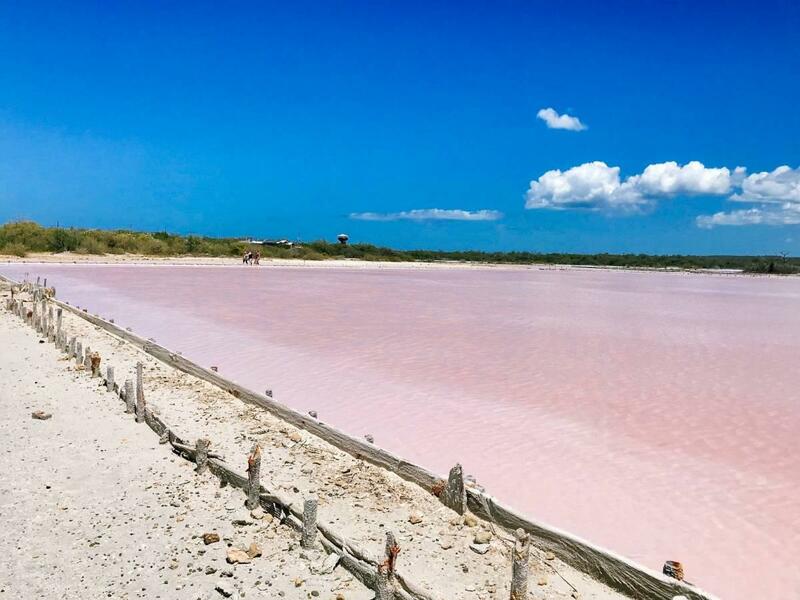 You can access all major sites by walking, taking public transport or taking a taxi from here. 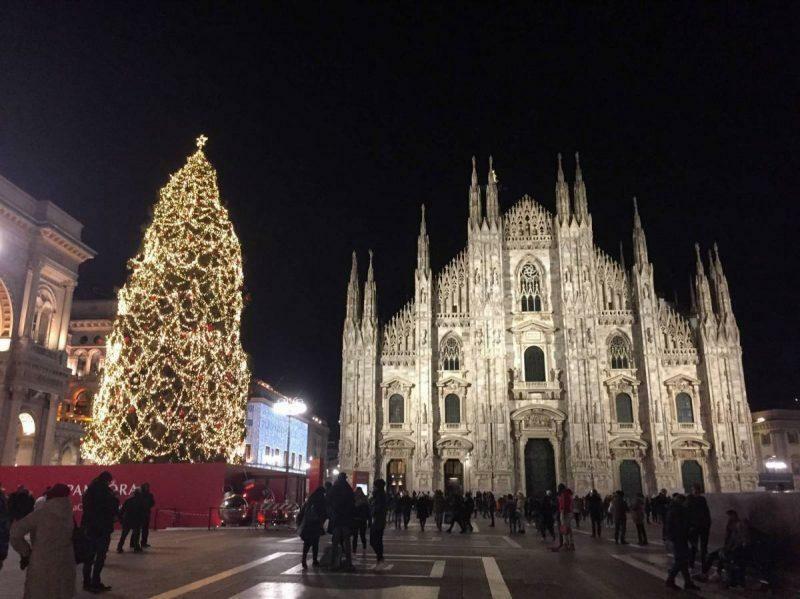 You can get to the Duomo from Malpensa airport in a number of ways. Your best bet in terms of price and travel time is to take a train into the city straight from the airport. The ride takes 43 minutes and costs €13 Euro. Trains leave from Terminals 1 and 2 so it’s easily accessible no matter what gate you land at, just follow the signs. 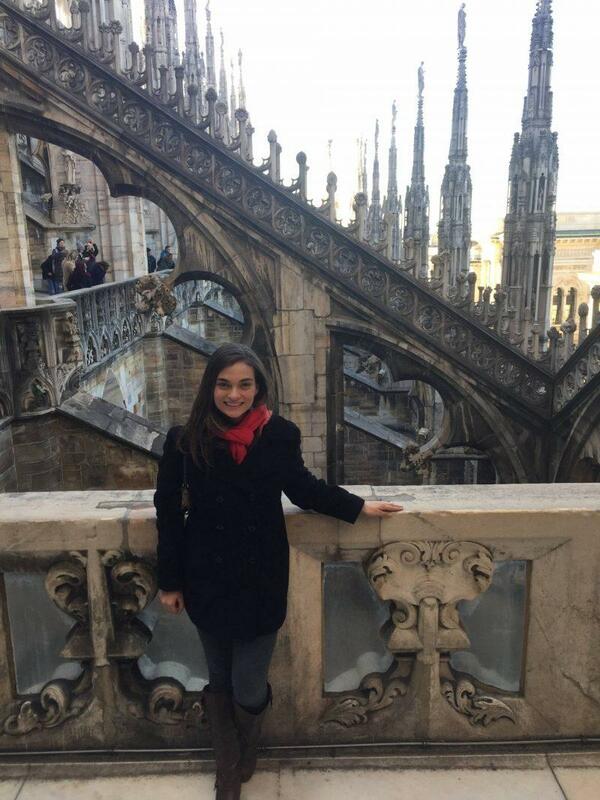 Head towards Piazza Cardona or Milano Centrale–both stops are within a 10 minute walk of the Duomo. Riders can purchase a train ticket at the kiosks at the airport terminal or from a live attendant. The kiosk I used had problems accepting foreign transaction cards so if your credit card isn’t working, check with an attendant first before panicking. You can also take a taxi into the city, which is your quickest option, but it’ll cost you roughly 80 Euro each way. Uber is now available in Milan, and will cost about €45 each way from the airport. In the Piazza, you’ll find many tourists. If you’re not careful, you’ll have dry pasta placed in your hand to lure pigeons, with the expectation of a €5 Euro tips for any unwanted pigeon luring assistance. To enter, avoid the main line and head to the side to buy your ticket in a shorter queue. 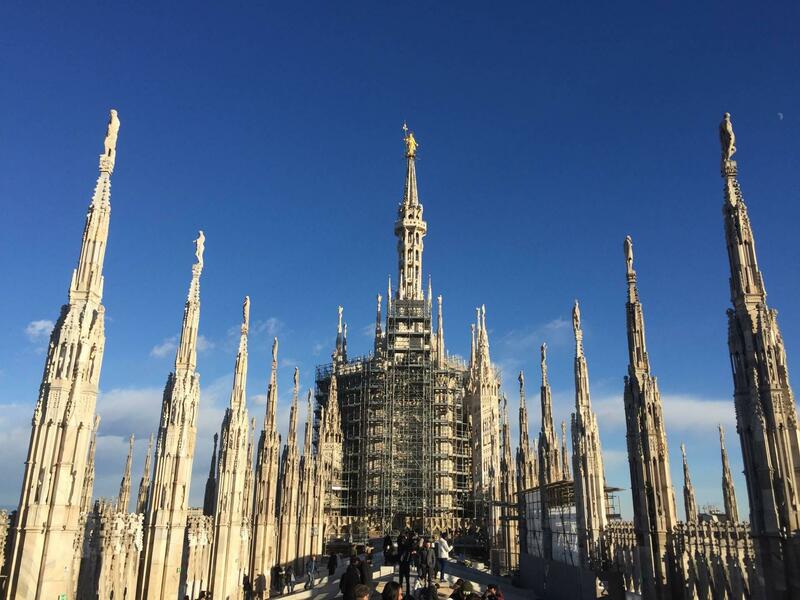 Make sure you buy a ticket that includes Duomo rooftop access. You can get to the top by lift or by walking 250 steps. It’s a bit claustrophobic taking the steps but a unique experience and good exercise. Stop by any small cafe for lunch. 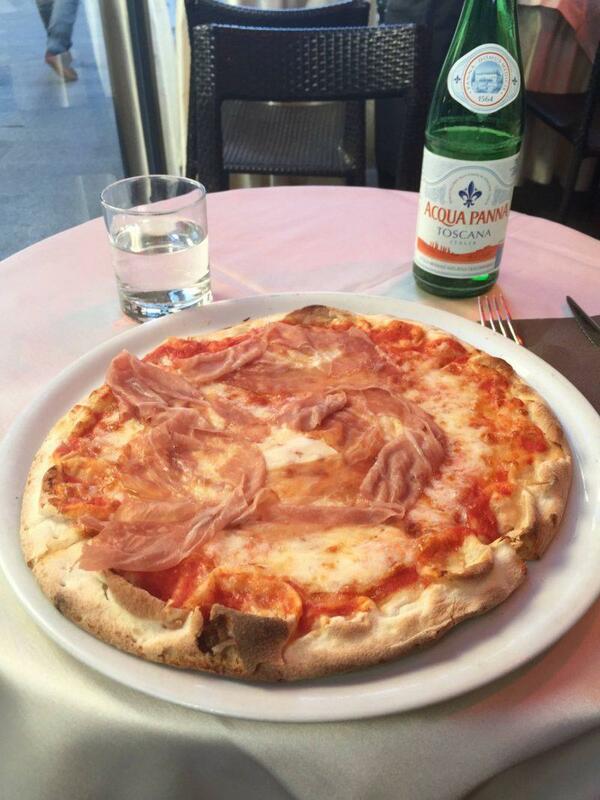 I had an amazing prosciutto pizza just minutes away from the Duomo at Luna Rosa. Despite being in the center of all tourist activity, this was a quality meal. Note that the promised wifi was only available indoors, and you might need to look for a foot pedal when you go to wash you hands in some of these older buildings to pump water through the faucet. It’s hard to find bad food in and around Milan. I especially enjoyed the sweets in Italy–everything was thick and served in heaping scoops. A popular chain for gelato is Venchi. If you go in the winter, don’t leave without indulging in a hot chocolate. Please note, you need to buy tickets months ahead of time to visit Da Vinci’s “The Last Supper.” This is Milan’s most popular attraction by far. Unfortunately, the TripAdvisor page is filled with 1 star reviews by visitors who made it all the way there and could not get in. Don’t fall victim to the impromptu trap! You can also spend time strolling the city to see different areas of interest, like the ironic L.O.V.E. 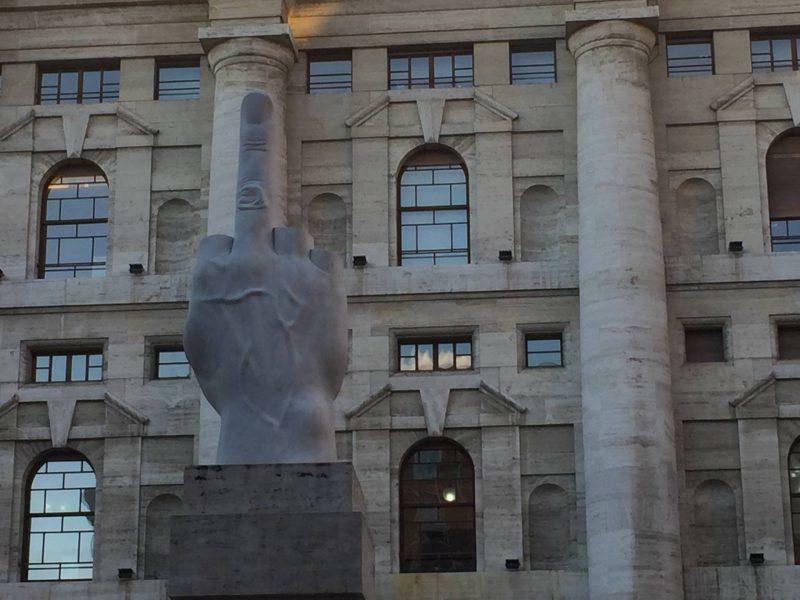 statue in front of Milan’s financial building (pictured below), Sforza castle and the nearby Porta Sempione, which looks like the Arch de Triomphe in Paris but is regarded as the Arch of Peace. 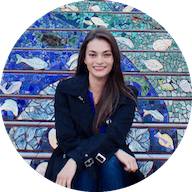 If you’re short on time, you might consider taking a tour to see the city’s main sites. Also, if you don’t book with enough time, a tour may be your only option to see “The Last Supper.” You can book tours directly through the official reservation website. I would only recommend taking a walking tour during the summer months. I went in January and it was freezing. As a lot of attractions are outdoors, this made the experience uncomfortable but obligatory since I had to stick around till the end to gain admission to Santa Maria Delle Grazie, the church in which “The Last Supper” stands. While the information provided on a tour is interesting, it’s nothing that can’t be learned with a guide book or audio guide. 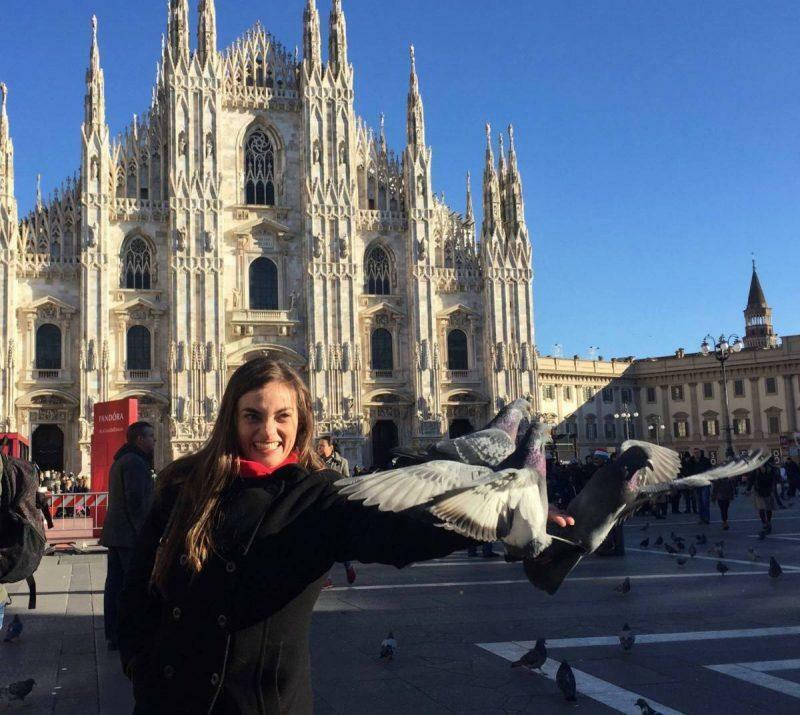 If you’re able, Milan is a city best left to explore on your own schedule. The Galleria Vittorio Emanuele is located right next to the Duomo so it’s hard to miss. It is a strip of high end stores and one ridiculously expensive hotel, but the architecture alone makes it worth a visit. It also provides shelter from the elements in case you need a break during your day. 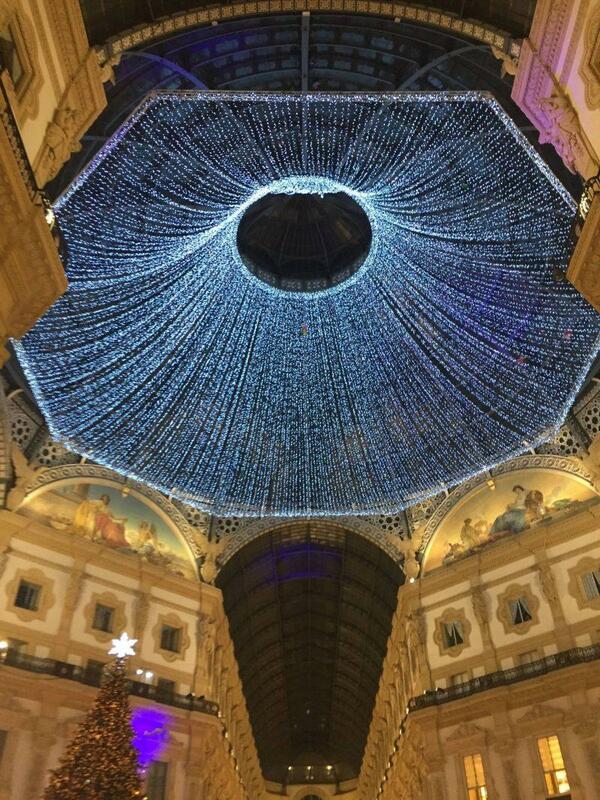 Immediately adjacent to the Galleria is La Rinascente Milano, and indoor high-end shopping mall that’s reminiscent of the 8-floor Macy’s in New York City. The top floor has a cafe where you can enjoy freshly made pasta and gelato, not to mention get a killer view of the Duomo. There are also a ton of free samples for high end perfumes and goodies so it’s worth your time just to walk through. You’ll notice a gold Madoninna on the top of the Duomo. She watches over Milan, and no building in the city is allowed to stand taller than her. Today, if a building is going to be permitted to extend past a certain height, a Madoninna replica is erected on top of that building to ensure that she remains the guardian of the city. Curiously enough, Milan has the most skyscrapers in Italy. If you have an early stay out of Milan, your best bet might be to stay at an aiport hotel. The MOXY Malpensa Airport is in terminal 2 and is an affordable and chic option for those who need a place to spend the night. The staff is young and friendly, the facilities are newly renovated and the rooms are comfortable. 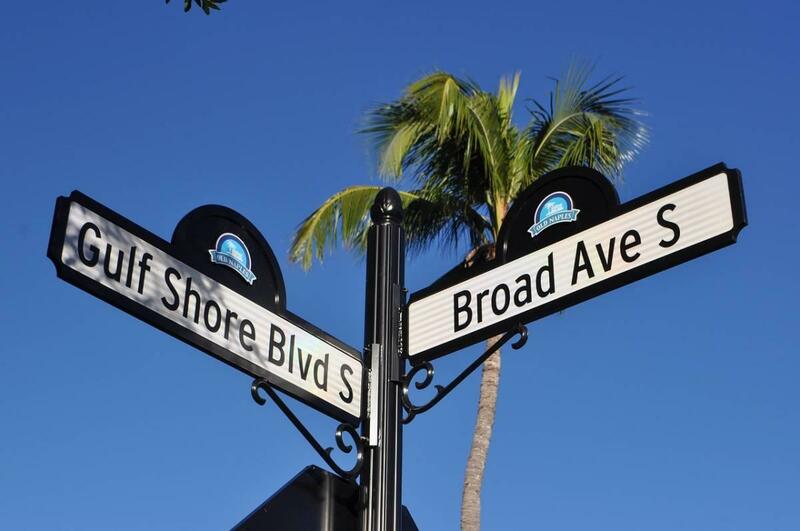 Most importantly, it’s located right across the street from the terminal and there’s a shuttle bus available 24-hours to take you to your gate. Most flights leave out of Terminal 1 but the connecting shuttle is complimentary. In sum, should you explore Milan during a layover in the city? Absolutely! If you have a few hours, you can easily fit in an authentic Milanese experience in a short time. 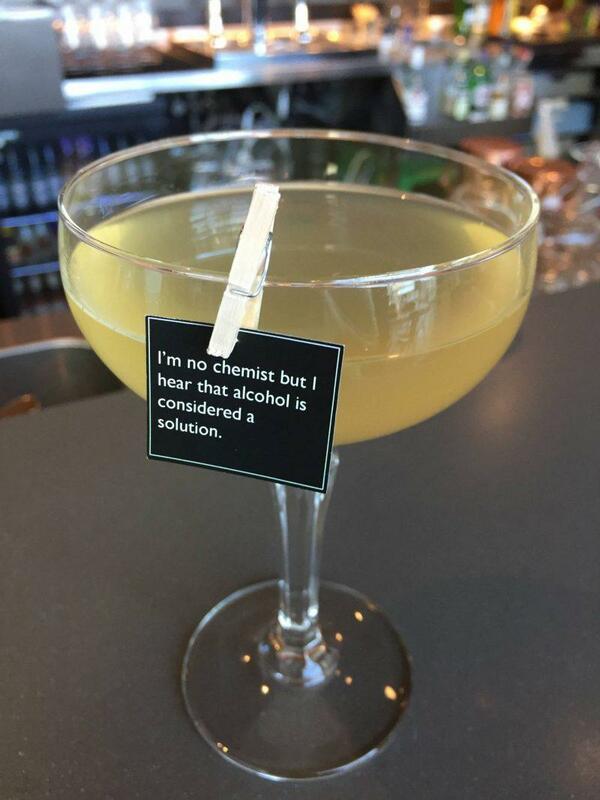 Love your drink message, LoL! The Galleria looks like such a beautiful place. You still managed to see some good sights in your short stay. They called on the skills of the court architects including Bramante, Francesco di Giorgio Martini and obviously Leonardo da Vinci. Milan looks so incredible and nice to know that you can see the city in a short space of time! It was great to read about your experience and suggestions of things to do! I may try and make it there this year!